Use chesnuts in a variety of recipes, like this chestnut agnolotti. Most people know the line “chestnuts roasting on an open fire” from “The Christmas Song,” a classic tune from 1944 famously sung by Nat King Cole. While roasting and eating them whole is fine, chestnuts have many other uses, and cooking with them isn’t as daunting as it might seem. Bissonnette scores an X on the flat side of each fresh chestnut with the tip of a knife, lays them out on a baking tray, and cooks them for 30 minutes at 325 degrees. He lets them cool and then de-shells them, saving the husks, which he soaks in milk to make a chestnut milk that’s good for mixing, braising and thickening. He makes chestnut fettuccini with chestnut milk poached boar, which might be followed by a chestnut gelato with chestnut biscotti crumble. But that’s not all, this James Beard-nominated chef also uses the nut in a special paella he makes for Toro, and is known to pair chestnuts with farro and sausage. For the pasta dishes, Bissonnette uses chestnut flour, which you can find at gourmet groceries or online. Chefs at Giovanni Rana Pastificio & Cucina in Manhattan’s Chelsea Market use chestnut flour to whip up steaming plates of chestnut tagliatelle with guinea fowl ragu, and they stuff the whole nuts to into their ravioli al brasato. He prefers the easy route, and if you are making a soup, putting chestnuts in a dressing or stuffing ravioli, they work well. Whether you choose to use jarred chestnuts, or roast and peel them yourself, there are plenty of things you can make with this winter ingredient. 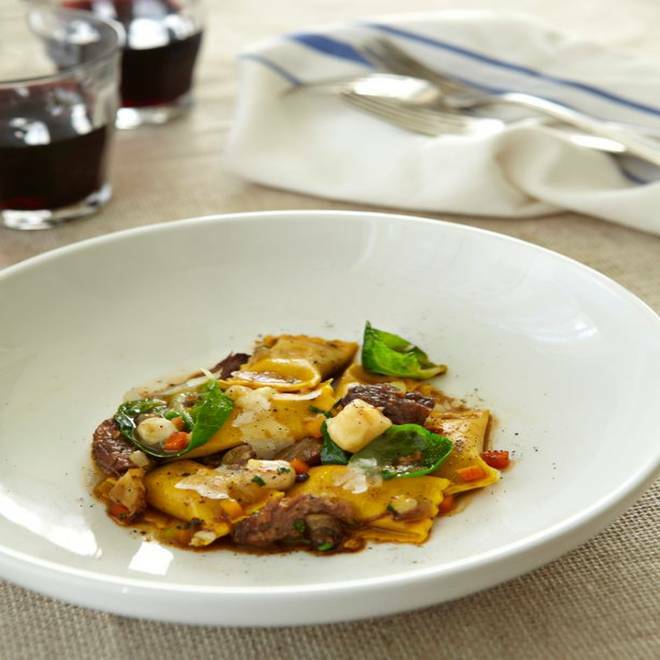 They pair well with many seasonal specialties, and you can put them in pasta, make pasta with chestnut flour, or use whole chestnuts to make chestnut agnolotti (recipe below) like chef Brandon McGlamery does at Luma on Park in Florida. No matter how you do it, chestnuts can easily be incorporated into your cooking. Brown butter. Add onions and caramelize until they are a very deep brown. Simmer until nuts are falling apart, constantly stirring. Remove rosemary and bay leaves. Purée in small batches, using mascarpone cheese to thin and get it going. Puree until it is ultra-smooth.